Complete OASE filter foam set for the OASE BioTec ScreenMatic 40000² and BioTec 12 ScreenMatic pond filters. Designed for the newer BioTec ScreenMatic 40000² which features these filter foams, this foam set will also fit the previous model BioTec 12 ScreenMatic, replacing the old blue on red stacking system. 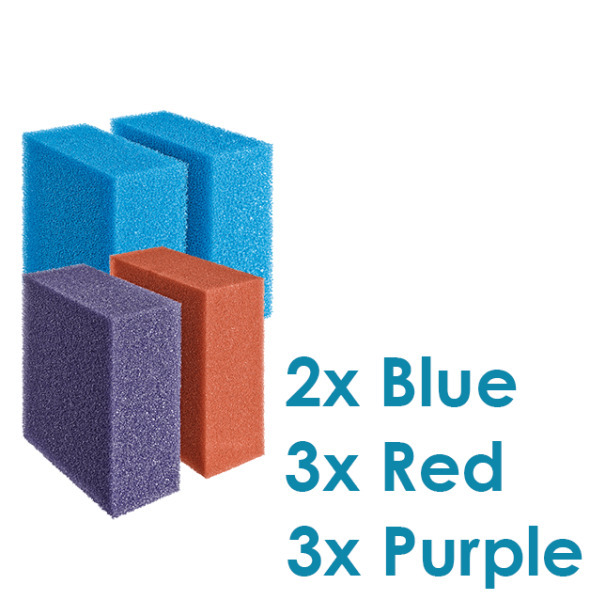 This complete OASE filter foam set contains 2 blue filter foams (course), 3 violet filter foams (medium) and 3 red filter foams (fine). Suitable for the following BioTec ScreenMatic filters and filter sets.